Ferdinand Frederick Henri Moissan was a French Chemist who won the Nobel Prize in Chemistry in 1936. Check out this biography to know about his childhood, life, achievements, works & timeline. 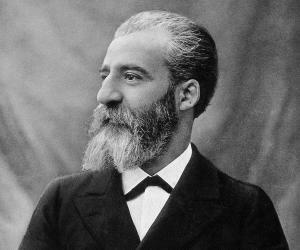 Ferdinand Frederick Henri Moissan was a French Chemist and a Noble Laureate. 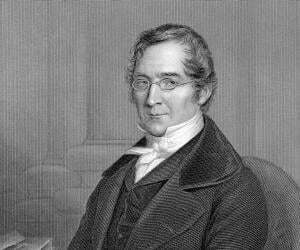 Born into a modest family in the middle of nineteenth century, he grew an interest in chemistry from an early age. Unfortunately, it also made him neglect all other subjects. Consequently, he had to leave school sans ‘grade universitaire’, without which he could not enter any university. He then started training under well-known chemists like Edmond Frémy’ and Pierre Paul Dehérain. Ultimately, it was Dehérain, who convinced him to appear for baccalauréat and pursue formal education. Ultimately, Moissan passed the exam and did his doctoral thesis under Dehérain. Although his first published work was on carbon-dioxide and oxygen metabolism in plants he later shifted to inorganic chemistry and very soon began his research on fluorine. After several failures he was ultimately able to isolate fluorine for which he was honoured with Nobel Prize in Chemistry in 1906. However, he did not stop at that; but continued his research on with his students discovered a number of compounds. Later he also developed an arc furnace, which has since been named after him. In addition to being a meticulous and patient experimentalist he was also an excellent teacher and had many distinguished students. Ferdinand Frederick Henri Moissan was born in Paris on 28 September 1852, in a family of Sephardic Jews, originally from South West of France. His father, Francis Ferdinand Moissan, was a junior officer in the Eastern Railway Company and his mother, Joséphine Améraldine (née Mitel), was a seamstress. In 1864, when Henri was twelve years old, the family moved to Meaux. Here at Collège de Meaux, he came under the influence of a brilliant chemistry teacher. The teacher initiated young Henri into the magical world of chemistry. Henri became so engrossed in the subject that he studied little else. Consequently, in 1870, he had to leave the school without acquiring the qualification necessary for getting admission to the university. He therefore, began working as an apprentice for a pharmacist in Paris. Sometime now, he saved a man, suffering from arsenic poisoning. Wiser now, he decided to pursue chemistry. However, without the necessary qualification, he could not get admission into any recognized university. Therefore, he joined Edmond Frémy’s laboratory at Musée d'Histoire Naturelle. Here he attended lectures by E.H. Sainte-Claire Deville and Jules Henri Debray. The following year, Moissan shifted to the laboratory of Pierre Paul Dehérain at the École Pratique des Haute Études. Incidentally, Dehérain was one of Frémy’s students and so Moissan might have joined Dehérain on Frémy’s advice. All along, he supported himself by giving tuition. Dehérain advised young Moissan to gain academic qualification. In 1874, four years after leaving his school, Moissan passed baccalauréat, a prerequisite for getting admission in the university. In the same year, he also published a paper jointly with Dehérain on carbon-dioxide and oxygen metabolism in plants. Very soon, Moissan’s interest turned to inorganic chemistry and he began his research on pyrophoric iron. 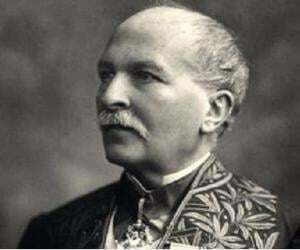 His paper on this topic was much appreciated by Henri Etienne Sainte-Claire Deville and Jules Henri Debray, the two leading inorganic chemists of that time. With the publication of the paper Moissan got a job at the School of Pharmacy in Paris. Since the salary was not much he took over a customer analysis laboratory for additional income. He also used the space to experiment on chromic acid. As his business failed to take off, he joined Jules Henri Debray and Lois Joseph Troost at the laboratory of the University of Paris, popularly known as Sorbonne. Finally in 1879, he got a job at Agronomic Institute and in 1880, he received his PhD. His doctoral thesis was on cyanogens. Moissan now joined School of Pharmacy once more; but this time as an assistant lecturer and a senior demonstrator. Initially he worked mainly on chromous salts, but by 1884, his attention was turned to the chemistry of fluorine. In the same year, he developed a few organic and phosphorus derivatives of the element. In 1885, Moissan discovered that if potassium difluoride is dissolved into liquid hydrogen fluoride at certain strength the mixture remains a liquid. He also found that at sub zero temperature the solution could by electrolyzed. He had earlier tried to electrolyze the solution at a higher temperature. It ruined the platinum equipment he was using. So he tried to carry out the same experiment at –50°C. Finally on 26 June 1886, he successfully electrolyzed the solution and isolated fluorine. Also in 1886, he was promoted to the post of Professor of Toxicology. He continued his research on fluorine and together with his students discovered many new compounds such as bromine trifluoride, oxygen difluoride, selenium tetrafluoride. As late as in 1901, he discovered Sulfur hexafluoride, along with his doctoral student Paul Marie Alfred Lebeau. Meanwhile, in 1889, he was elected to the Chair of Inorganic Chemistry. From 1892, Moissan’s interest shifted to a new subject. He now theorized that synthetic diamonds could be made by crystallizing cheaper form of carbon such as charcoal under the pressure of molten iron. He now set out to prove that experimentally. In 1892, he developed an electric arc furnace, which could attain a temperature up to 3,500°C. He finally produced a few small pieces of stones, but whether they were diamond or not is still very much debatable. Later he used the furnace to work on other chemicals and discovered many new compounds such as carbides and borides. In 1893, Moissan discovered silicon carbide while examining rock samples from the Canyon Diablo meteorite. Later, he synthesized the mineral using various methods. In 1900, Moissan was appointed Assessor to the Director of the School of Pharmacy. 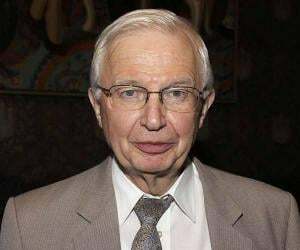 Later in the same year, he was appointed to the post of Professor of Inorganic Chemistry, University of Paris. In 1903, Moissan was made a member of Commission on Isotopic Abundances and Atomic Weights, which had been formed in 1899 to produce the Table of Standard Atomic Weights and also to evaluate the published scientific literature. He served the establishment until his death in 1907. Isolation of fluorine by electrolyzing the solution of potassium hydrogen difluoride and liquid hydrogen fluoride is one of Moissan’s most important works. Hydrogen produced by the process accumulated at the negative electrode while the fluorine was isolated at the positive electrode. This process of isolating fluorine is followed even today. Moissan was also a prolific writer and had more than one hundred publications to his credit. ‘Le Four Électrique’ (The Electric-Arc Furnace) published in 1897, ‘Le Fluor et ses Composé’ (Fluorine and Its Compounds) published in 1900 and ‘Traité de Chimie Minerale’ (Treatise on Inorganic Chemistry) published in five volumes from 1904 to 1906 are some of his more significant works. 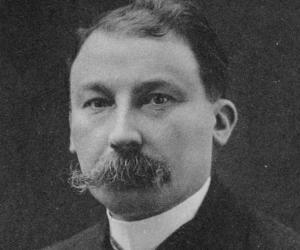 In 1906, Moissan received the Nobel Prize in Chemistry. According to the Swedish Academy, the prize was awarded "in recognition of the great services rendered by him in his investigation and isolation of the element fluorine, and for the adoption in the service of science of the electric furnace called after him"
He was also awarded the Davy Medal by Royal Society of London in 1896, Prix Lacaze in 1897, Elliot Cresson Medal by the Franklin Institute in 1898 and August Wilhelm von Hofmann Gold Medal by German Chemical society in 1903. Moissan was also elected member of the Académie de Médecine in 1888, a member of Académie des Sciences in 1891, a member of Conseil d'Hygiène de la Seine in 1895 and a member of Comité Consultatif des Arts et Manufactures in 1898. Sometime in the beginning of the twentieth century Moisaan was made a Commandeur de la Légion d'Honneur by the Government of France. He was also awarded Fellowships of the Royal Society of London and The Chemical Society (London). In 1882, Moissan married Marie Léonie Lugan. 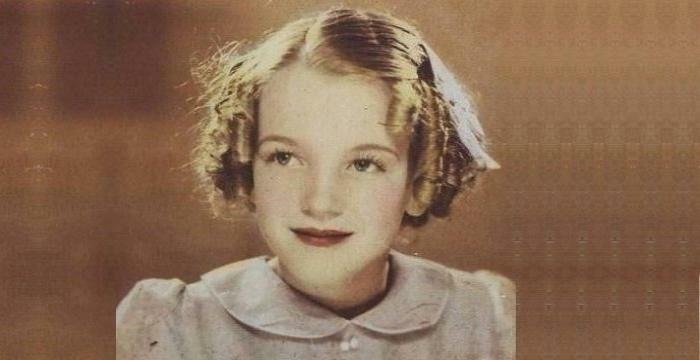 She was the daughter of the pharmacist under whom Moissan took up his first job. The union was lucky for him because it solved much of his financial problems and he could concentrate more on his work. The couple had a son born in 1885. Moissan died on 20 February 1907 shortly after his return from Stockholm, where he went to receive his Nobel Prize. It was a sudden death and might have been caused by acute case of appendicitis. 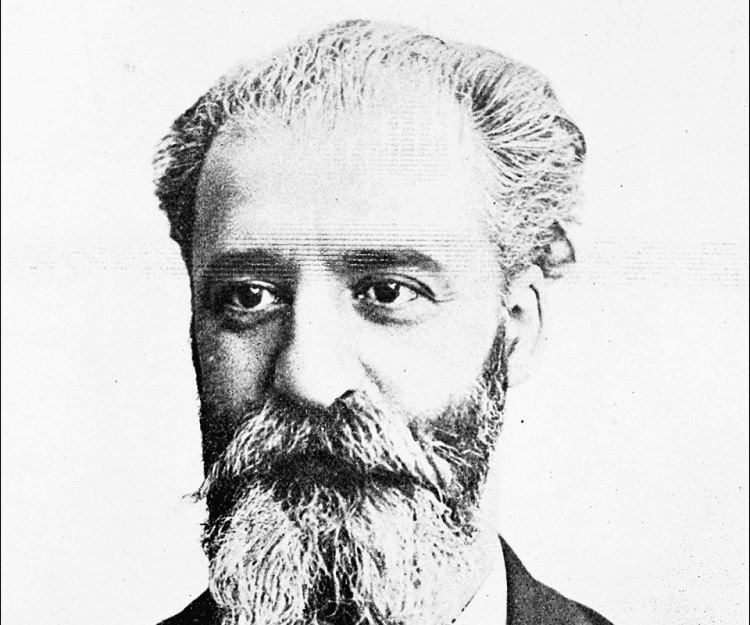 Moissanite, naturally found silicon carbide regarded as an alternative to diamond, has been named after Henri Moissan. He discovered this rare mineral from rock samples of a meteoroid found in Arizona, USA in 1893.